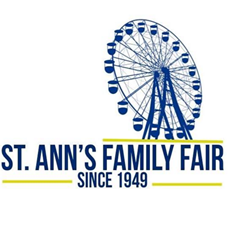 Stay tuned as we update all the information for the upcoming 2019, 71st Annual St. Ann’s Family Fair! You can keep us with all the details via the Fair website, Facebook page, and right here on the St. Ann’s website. St. Ann’s loves our sponsors!! If you are a parishioner or friend of St. Ann’s and would like to help us in sponsoring the fair please download the form below. Run to the Fair Forms will be available in April.